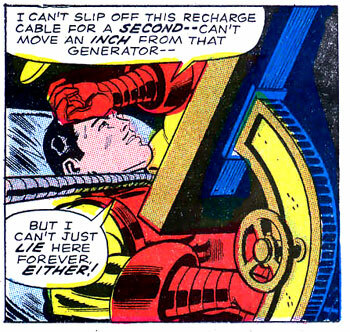 That is, unless it's the issue in which Tony spends the entire adventure swooning. 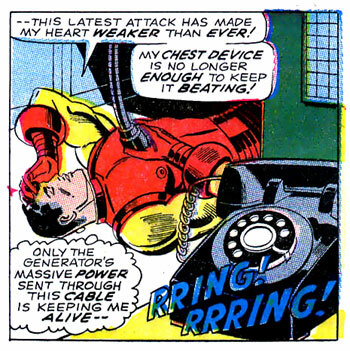 I'm serious: in this one issue, in the space of a half dozen pages, Tony Stark gets the vapors and dizzily swoons all over the place half a dozen times. 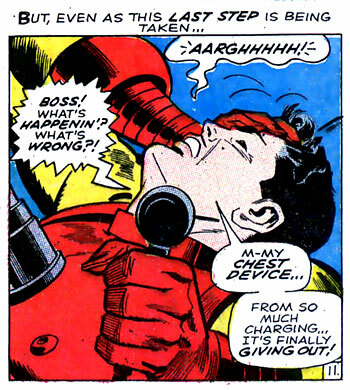 What's with the overacting half-faints, Mister Stark? Why so much playing the drama queen? I've seen Victorian women stuffed into sixteen-inch-waisted whale-bone corsets who didn't do this much overdramatic swooning. 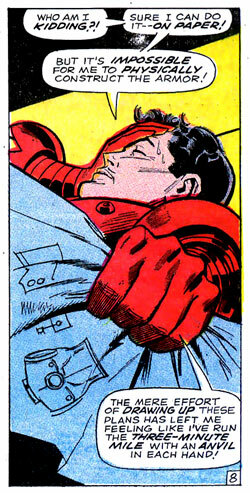 "Oh, the pain, the pain..." Did the Mandarin glue Tony's hand to his head or something? Yes, several pages of our muscled, armored, mega-powerful superhero swooning. 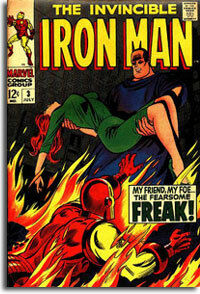 That's what the kids like to read about in their comic books, don't they? It's like they read Amazing Spider-Man #33 and said to themselves, "We could do that!" and then decided, "Except maybe we should take out all that heroic stuff." Maybe someone showed him Mark Millar's scripts for CIVIL WAR. Do you hear what I read?